There are so many people to thank for such an extraordinary event. Thank you to all our shoppers for supporting our local businesses! 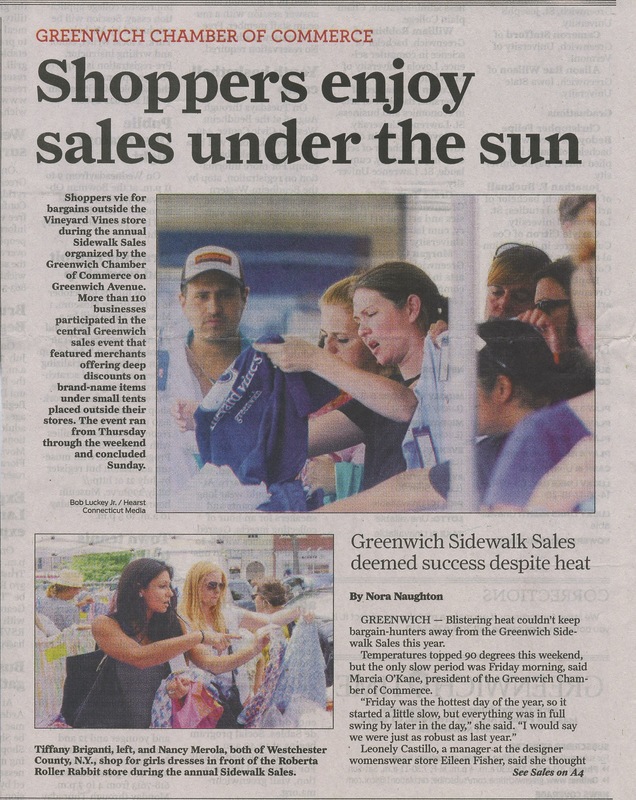 Thank you to all our participating merchants for all of the extra hours and hard work put into another successful Greenwich Sidewalk Sales. 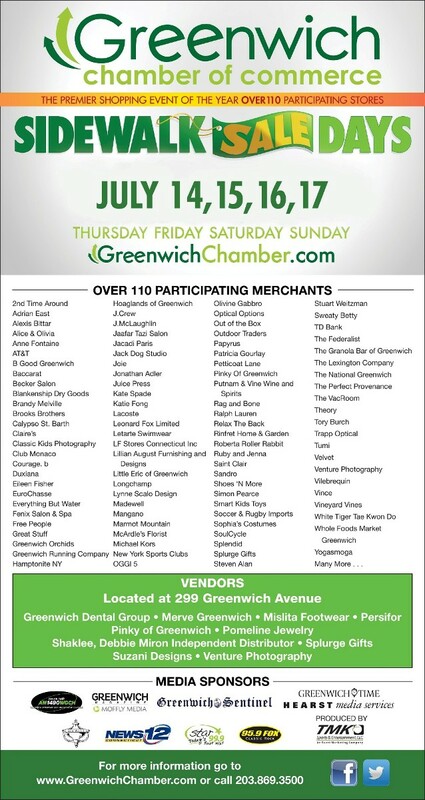 Thank you to our sponsors and media partners; Greenwich Magazine / Moffly Media, Hearst / Greenwich Time, 1490 WGCH Radio, News 12 Connecticut and STAR 99.9 FM and 95.9 THE FOX Radio. Thank you to our local Greenwich Police and Parking departments for directing traffic and keeping our town safe. Click to listen to the Sidewalk Sales ad. For more photos and videos of this year's Sidewalk Sales visit our Facebook page or search Facebook for #GSS2016.